Guess What 2019 Has Been Designated The Year Of! 2019 is officially the year of the pig! According to the Chinese zodiac, this year is the year of the pig (last year it was the year of the dog), and despite the bad rap that these animals often get, being born in the year of the pig is a good thing and blesses you with some wonderful qualities. 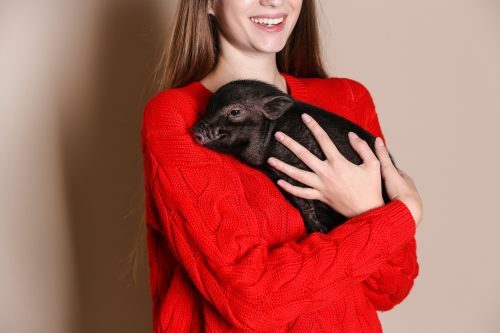 Those born in the year of the pig have beautiful personalities and are blessed with good fortune in their lives. Their personalities and characteristics are that they are very realistic, they love entertainment, they are energetic and always enthusiastic, and, though not wasteful spenders, they will allow themselves to enjoy life and occasionally treat themselves. This is a good link to the fact that in Chinese culture, pigs are a symbol of wealth whose chubby faces and big ears are signs of fortune. Unlucky things are the numbers 1,7, and 9, and the colours blue and green. Happy Year of the Pig to all of those born in this or previous years of the pig!